President Dalia Grybauskaitė met with Donal Tusk, President of the European Council, in Brussels. 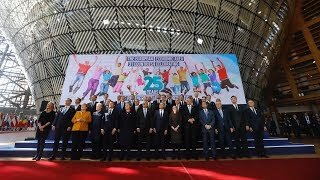 President Dalia Grybauskaitė took part in the official celebration of the 15th anniversary of Lithuania’s membership in NATO and in the festive public events that followed. President Dalia Grybauskaitė met with President Sergio Mattarella in Rome where she arrived on an official reciprocal visit at the invitation of the Italian President. President Dalia Grybauskaitė opened a new Lithuanian embassy building in Rome during her official visit to Italy. 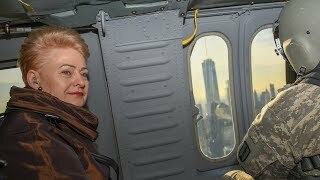 President Dalia Grybauskaitė extended her condolences and those of the Lithuanian people to President Frank-Walter Steinmeier over the tragic bus crash in Madeira, which resulted in the death of many German tourists. “In this moment of distress, I wish fortitude to the victim’s families and loved ones, as well as speedy recovery the injured,” the President wrote in her message of condolences. President Dalia Grybauskaitė congratulated President George Vella of Malta on the inauguration. According to the President, Lithuania highly valued the developing bilateral dialogue between Lithuania and Malta, friendly relations, and comprehensive cooperation among people which grew stronger over 15 years of EU membership. The President also extended congratulations to the Maltese President and people of Malta on the forthcoming membership anniversary. President Dalia Grybauskaitė extended congratulations to President-elect Zuzaną Čaputová of Slovakia on her victory in the presidential election. 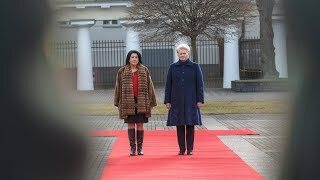 The President expressed her hope that the trust of the Slovakian people would serve as a source of inspiration and determination to deliver the set goals, defend human rights and ensure the welfare and security of all citizens of Slovakia. President Dalia Grybauskaitė offered her congratulations to NATO’s Secretary General Jens Stoltenberg on the extension of his mandate. 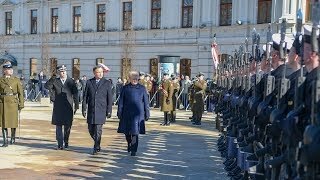 The President underlined that Lithuania highly values Jens Stoltenberg’s leadership of the Alliance and his consistent efforts to strengthen the defense of Lithuania and other member countries. It has been two years now that NATO’s enhanced forward presence battle groups are deployed to the Baltic States and Poland to deter, to protect the eastern flank, and to safeguard the security of our region and of the whole transatlantic community.